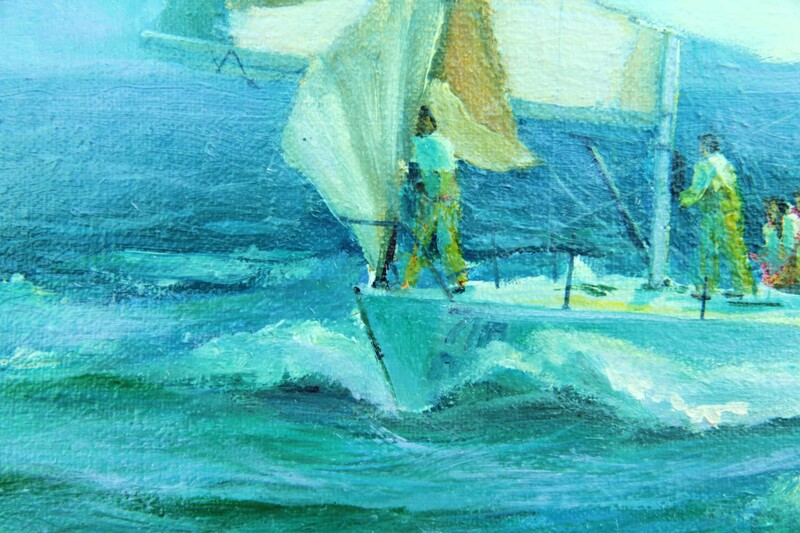 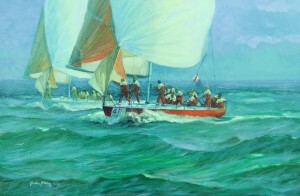 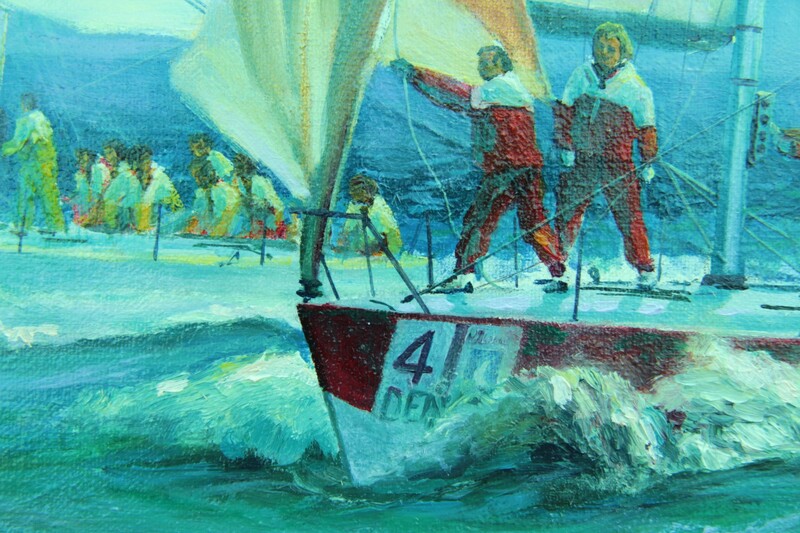 A completed study of Admiral’s Cup yachts giving it their all, enjoy. 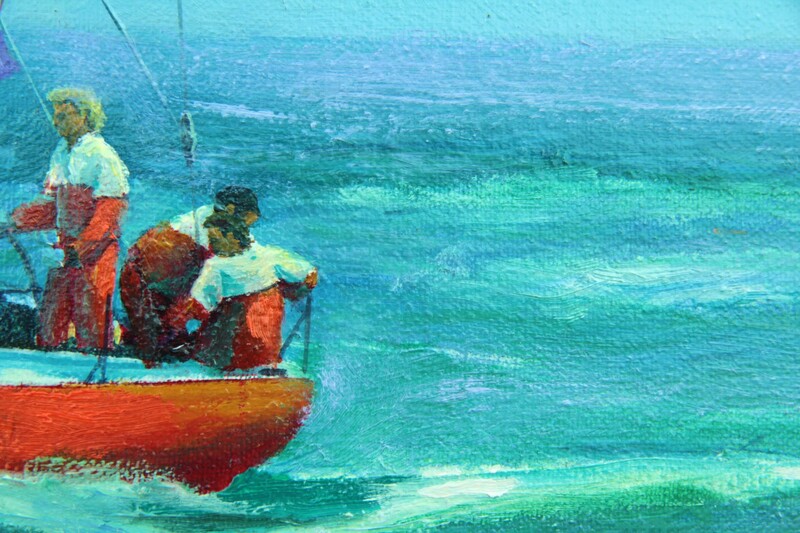 This original marine painting is now available to enhance your home or office, to remind you and your shipmates to make more time for sailing, ex studio ex frame. Thus you are probably seeing the details here larger than life. 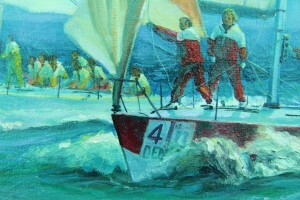 As witnessed and sketched by the artist Gordon Frickers from a the heaving spray soaked deck of an official press boat.